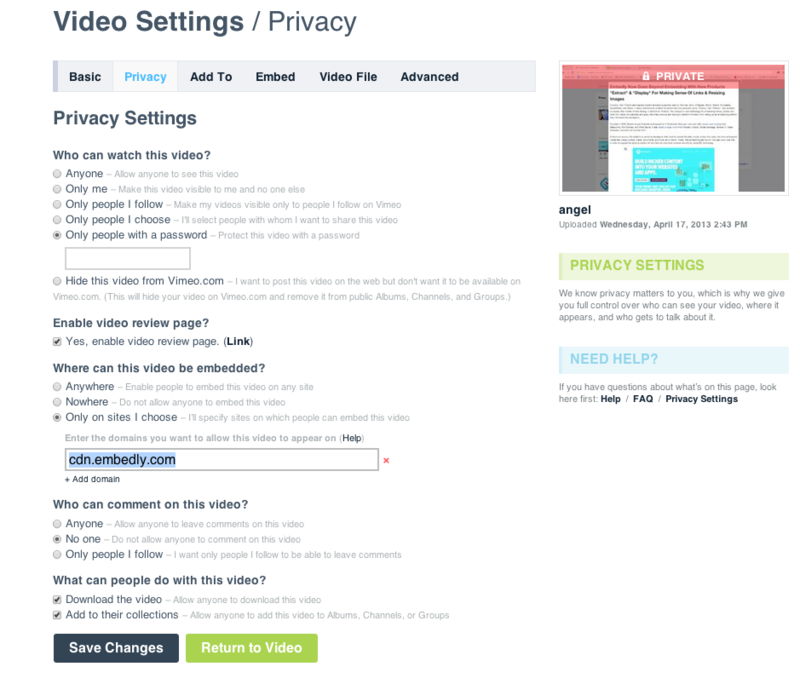 Due to the recent changes in Embedly's embed format Vimeo's domain restrictions will no longer work. All embeds are served from cdn.embedly.com. If you restrict your Vimeo embeds by domain you will need to add "cdn.embedly.com" to your whitelist of supported domains.